My mother was the youngest of six children. My grandmother was about 40 at the time she discovered she was pregnant (again!). It wasn’t really a convenient time for her to have a baby, either. She and her (now grown) children were pretty much running the farm because my grandfather was going blind. Three of my cousins were born within a year or two of my mother being born, and so in many ways her sisters were more like moms to her. A family treasure. 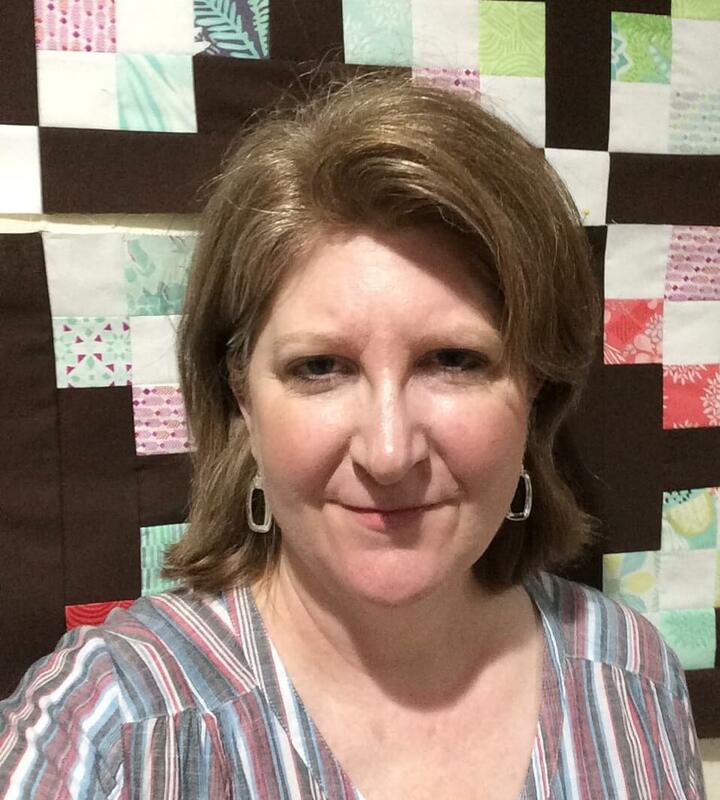 My mom’s scrappy nine-patch quilt made for her by her sister from outgrown clothes. 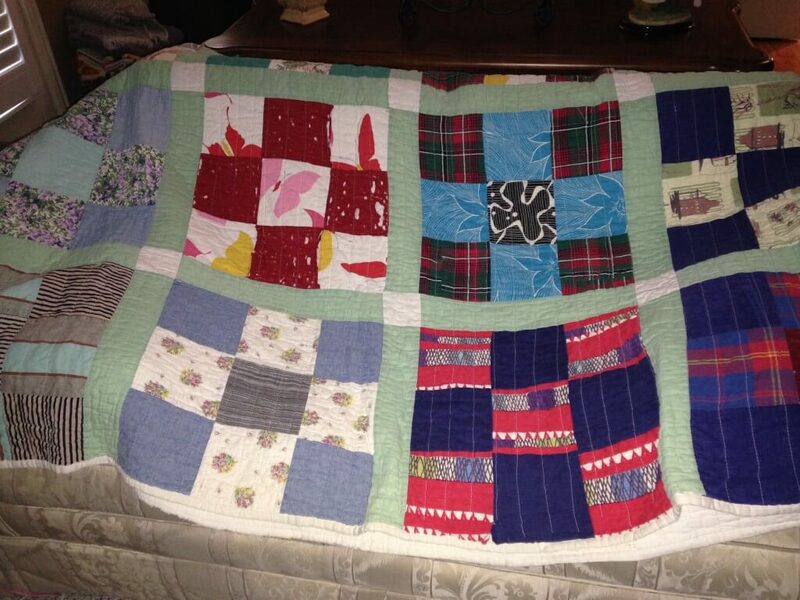 All of the fabrics in the quilt were from clothes that Louise had made her over the years. When I go see my mom, I love for her to pull out this quilt. It’s not the most technically difficult or artistic quilt in the family, but it’s probably the most special. 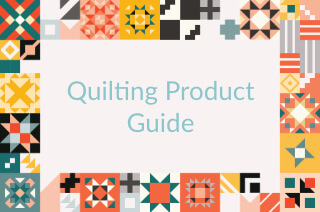 She gets misty eyed as she fingers the fabrics and will recall “This is from the skirt she made me in Junior High.” She carefully traces the quilting lines, and I know she’s thinking about Louise, who we lost way too early in 1977 to a brain aneurysm. What about you? Does your family have a “memory quilt” with a story?